Update: This story is out of date, and has been replaced with a more accurate and thorough explanation. Why is my 2011 Mac mini unable to play HD movies on my HP Z27 (known to be HDCP compliant) display? Why is OS X not compliant with HDCP? HDCP (High-Bandwidth Digital Content Protection) is the digital-rights management (DRM) protection protocol that’s supposed to keep digital films from being easily copied when they pass in perfectly precise form from a player—originally a DVD, and later computers and other devices—and a display of some kind. This can include an integral monitor in a laptop or all-in-one computer, or an external monitor or HDTV set. HDCP is a kind of “lock” on a video cable; otherwise, this would make piracy much easier. However, Oren’s question struck me as odd: Apple has fully supported HDCP for years for integral and external displays. I recall having issues many years ago with a DVI-based monitor, and found that the monitor lacked support for an early HDCP standard. That made sense. Yes, we support most Apple laptops and desktops to watch HD/HDX via a browser. 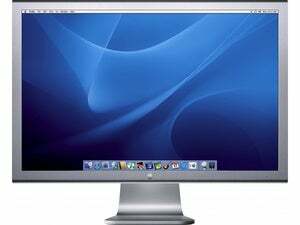 However, most Apple laptops and desktops (Mac Mini and Mac Pro) do not support HDCP outputs to external monitors. If you’re using a Macbook Pro or Macbook Air, you can watch HD and HDX using the laptop display. Not accurate at all, but go figure. Make sure you have the latest version of Silverlight and Flash, if either of those are involved. I use ClickToPlugin in Safari to prevent automatic loading, and it tells me what content is trying to load, which helps troubleshoot these problems. In some cases, a Mac laptop or desktop system won’t properly handshake with HDCP in a monitor unless mirroring is enabled or the laptop lid is closed. This should be a problem only in older Macs, however. If you’re using a DisplayLink dual-monitor adapter, you may need to unplug a second monitor or disable the driver. While the company has no information about HDCP in its support documents, many people in forums have figured out this fix. Some people have also found problems when they have two HDCP-compliant monitors plugged into a Mac mini until they unplug one of them. This is clearly a bug (possibly in the HDCP standard), but it’s been consistent for some folks. If you’re using the DVI input on a monitor that has DisplayPort and HDMI connections, switch to one of those. Some DVI inputs can’t handle HDCP, although that should be only the oldest monitors that retain that difficulty. Switch browsers. If you’re using Safari, try Chrome, or vice-versa. Some combinations of browser technology, streaming plug in, and HDCP may be incompatible. Typically, Chrome is more reliable for HDCP, according to all the reports I can find of people troubleshooting this.